Vanquish Studios’ state-of-the-art control room features an SSL Duality SE 48-input analog console; monitors by ADAM, Genelec and M-Audio; and a host of outboard gear. Photo courtesy of Vanquish Studios. Vanquish Studios’ extensive patch bay, along with Apogee AD16X 192K A/D converters, Apogee DA16X 192K D/A converters, Empirical Labs EL8X/S Stereo Pair Distressor, and more. Photo courtesy of Vanquish Studios. 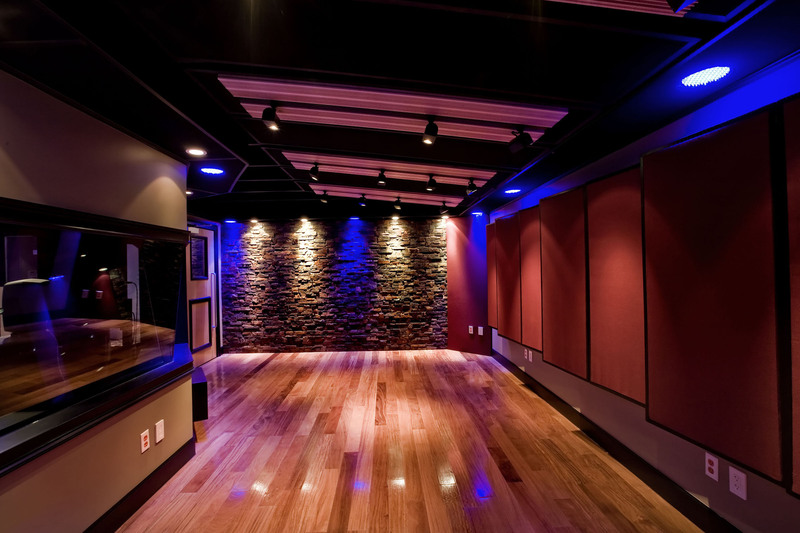 The acoustically-engineered tracking room features a mix of hard wood, stone and acoustical treatment, customizable to suit the needs of each project. Photo courtesy of Vanquish Studios. Vanquist Studios worked closely with GC Pro affiliate Malvicino Design Group to help make Joseph Salamida’s dream a reality. Photo courtesy of Vanquish Studios. WESTLAKE VILLAGE, CA, January 27, 2015 — Vanquish Studios sits comfortably near the top of a short list of south Florida’s most advanced private recording facilities. Known for its warm and inviting atmosphere (certainly not hurt by the sunny climate of the studio’s hometown of Davie, Florida, near Fort Lauderdale) and extensive and state-of-the-art gear setup, Vanquish has become a hotspot for recording local talent, and a destination for acts from elsewhere. “I can give you the numbers,” states the studio’s founder and CEO Joseph Salamida, who also serves as one of the primary producers and engineers at the facility. “Five years in business, well over 300 happy clients, more than 84,000 GB of data and over 12,500 hours recorded. We have been busy!” Shortly after opening in 2009, Vanquish was selected as one of the “Year’s Coolest New Studios” in MIX Magazine’s year-in-review. And in the years since, the studio has been lucky to work on GRAMMY®-nominated projects by such artists as William McDowell and Israel Houghton. After graduating as one of the top students in his class at SAE Miami, Salamida tried to find a studio to intern with in the area, but none felt right to him, as he didn’t feel they were going to offer him a balance with his work at church on Sundays – a lifelong priority. “I had a mentor at the time who saw my potential and that I had something special to offer. Through him, I became friendly with some industry heavy-hitters including Horacio Malvicino at the Malvicino Design Group. All of these people encouraged me to go all the way. For instance, it became clear to me that it makes less sense to invest in a great console and set it up in a cement garage than it does to go the extra mile and develop a world-class facility to house that console. So that became my goal. Somehow we made it work, and here we are today.” Joining Salamida in the studio’s day-to-day operations are several trusty associates: Franklin Rodriguez, Franklin Soccoro, Chris Hardy, Tony Morales, Paul Salveson, Danny Duncan, new addition Kevin “Gomie” Gomez, Mario Caroscio, and others. The live room sports a mix of wood, stone and acoustical treatments – customizable for each project to the clients’ needs. A luxurious lounge allows much-needed R&R. The control room’s centerpiece is an SSL Duality SE 48-input analog console from Solid State Logic. GC Pro-sourced gear includes Pro Tools and a full software complement; microphones from Audio-Technica, AKG, Neumann, Sennheiser, Sony and several other manufacturers; monitors from ADAM, Genelec, Yamaha and others; and outboard gear from such iconic brands as Focusrite, Lexicon, Universal Audio, Apogee and more. 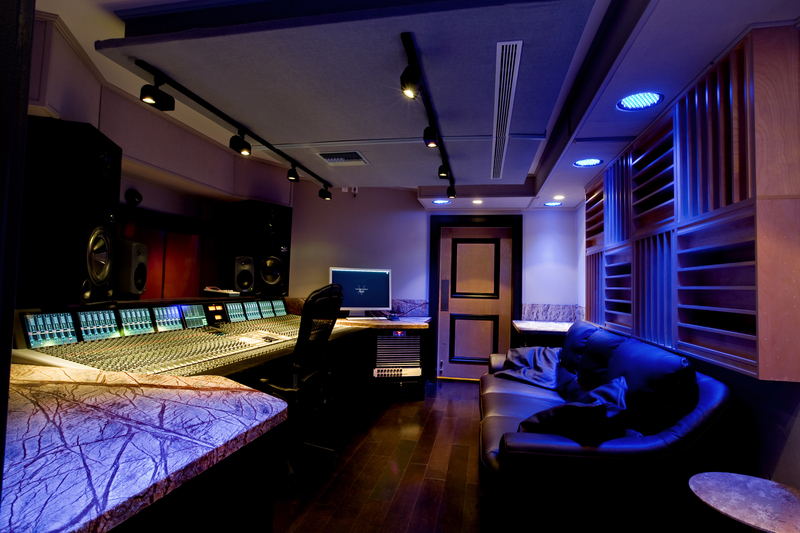 Photo caption: Vanquish Studios’ state-of-the-art control room features an SSL Duality SE 48-input analog console; monitors by ADAM, Genelec and M-Audio; and a host of outboard gear. Photo courtesy of Vanquish Studios. 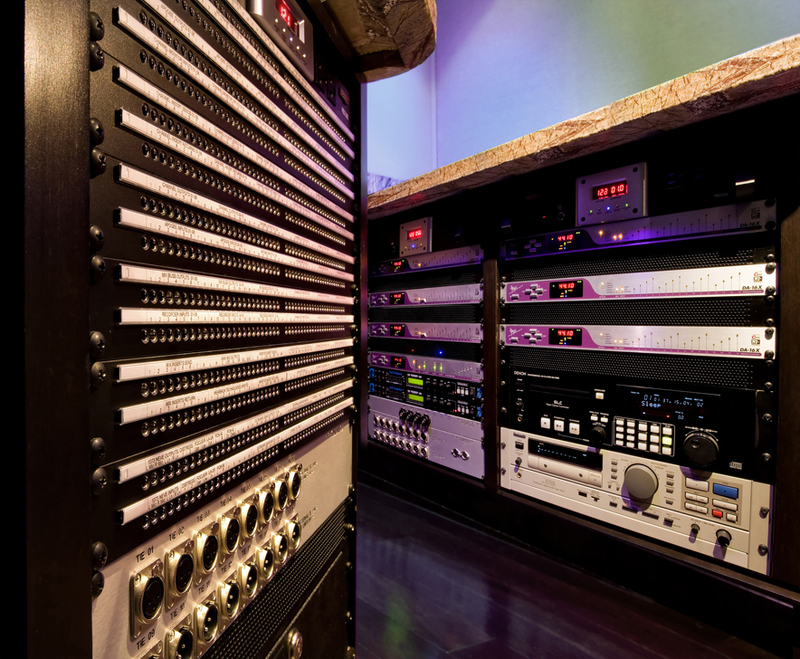 Photo caption: Vanquish Studios’ extensive patch bay, along with Apogee AD16X 192K A/D converters, Apogee DA16X 192K D/A converters, Empirical Labs EL8X/S Stereo Pair Distressor, and more. Photo courtesy of Vanquish Studios. 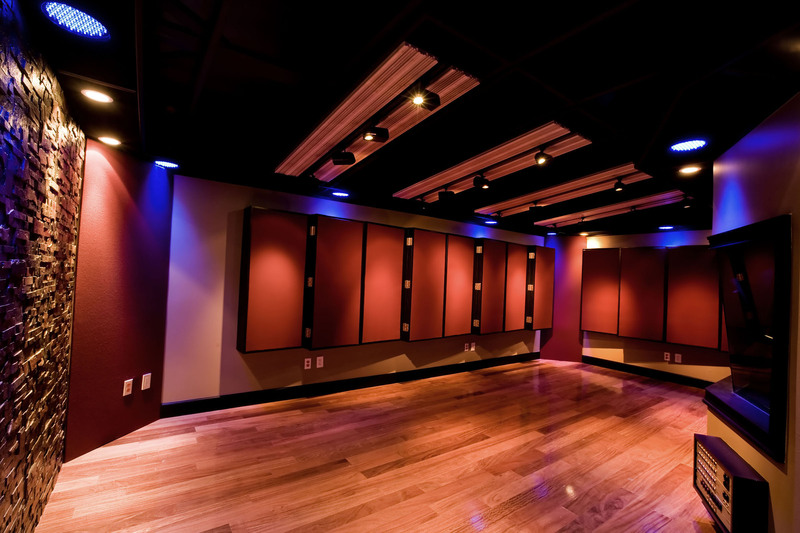 Photo caption: The acoustically-engineered tracking room features a mix of hard wood, stone and acoustical treatment, customizable to suit the needs of each project. Photo courtesy of Vanquish Studios. Photo caption: Vanquist Studios worked closely with GC Pro affiliate Malvicino Design Group to help make Joseph Salamida’s dream a reality. Photo courtesy of Vanquish Studios. Guitar Center is the world’s largest retailer of guitars, amplifiers, drums, keyboards, recording, live sound, DJ and lighting equipment, with more than 260 stores across the U.S. 2014 marks the milestone 50th anniversary of the Guitar Center Brand as we continue to help people make music from coast to coast. In addition, the Music & Arts division operates more than 120 stores specializing in band & orchestral instruments for sale and rental, serving teachers, band directors, college professors, and students since 1952. With an unrivaled in-store experience and passionate commitment to making gear easy-to-buy, Guitar Center is all about enabling musicians and non-musicians alike to experience the almost indescribable joy that comes from playing an instrument. All we sell is the greatest feeling on earth. For more information about Guitar Center, please visit www.guitarcenter.com, contact media@guitarcenter.com, or visit our Press Room at http://gc.guitarcenter.com/pressroom/. Subscribe to our RSS newsfeed at http://feeds.feedburner.com/GuitarCenterPressroom.